Sitting quietly on a neighborhood corner in Wallingford, Irwin's Bakery & Café has caught the attention of a very loyal local following. This place has quickly become one of my favorite local coffee shops if I want a good latté and pastry to start my day. Grab a table and stay a bit! I am a BIG believer in breakfast, and I always take at least 20 minutes out of my morning to sit down, relax, and have my breakfast before I start my day. Make sure to get a croissant warmed up with some jam, or a marion berry muffin (also warmed up of course)! Their egg sandwiches are so yummy too. You can add tomatoes, spinach, cheese, onions, and really make them your own! They have a very small staff, so get ready to see the same people every time you come in and be recognized! They are all incredibly friendly and will chat you up and really make you feel welcome. This place has a very unique ambiance as the building actually used to be a house! It really feels like you are walking into someone home and having coffee in their living room as they bake pies and cakes in the open kitchen right next to you. With many locals and friendly neighborhood dogs, you'll feel cozy and right at home with your newspaper and good company. If you're not the baking type, make sure to check out their catering!! You can preorder incredibly delicious homemade-style pies and cakes for Thanksgiving, holidays, events, or even just to have for yourself - I know I would! One rhubarb pie to-go please!! 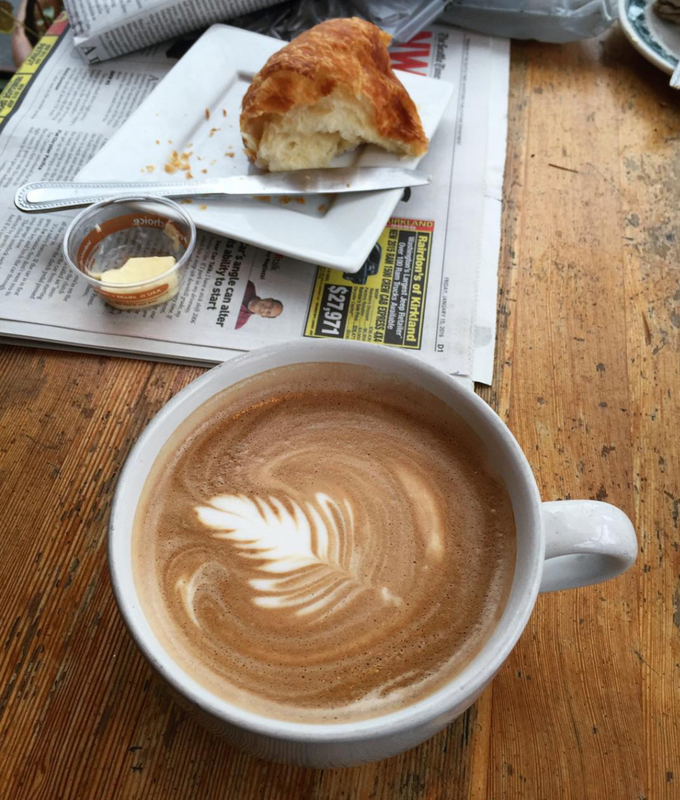 Whether you're looking for a quick coffee on-the-go, a lounging breakfast spot, a coffee date with a good friend, or a homemade pie for your event, Irwin's has it all. As much as I love Starbucks and all that it has to offer (I mean come on, I'm from Seattle), I LOVE local coffee shops and the taste of homemade pastries and exceptional lattés that are created by trained baristas. They really do offer something different that you can't find at Starbucks, and the coffee really does taste different! Like this post? Follow me on Instagram! !